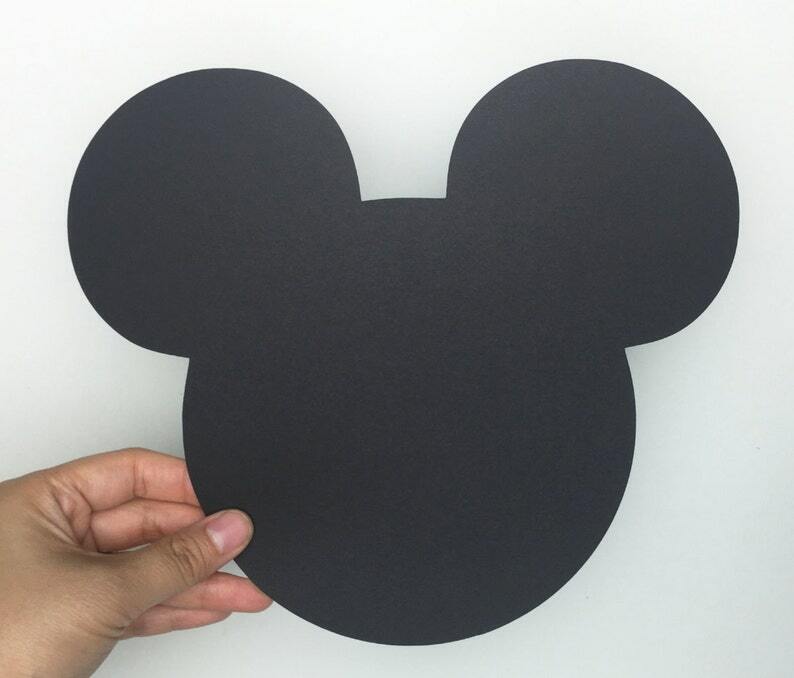 You will receive Total 10 mickey mouse die cuts in Black. Cut from Cardstock. These die cuts are great as table decor for a child's birthday party, party banner, baby shower, or any party decor. They also make great embellishments for scrapbooking, card making, cupcake toppers, and much more! Please convo me for a custom order if you would like to have them in different color or quantities. Just as described with quick shipping!